Fishing - Sac River wild rainbow fishing! Check out this beauty caught while fly fishing with guide, Justin Thompson on the Sacramento River in Redding, Ca. this past weekend! 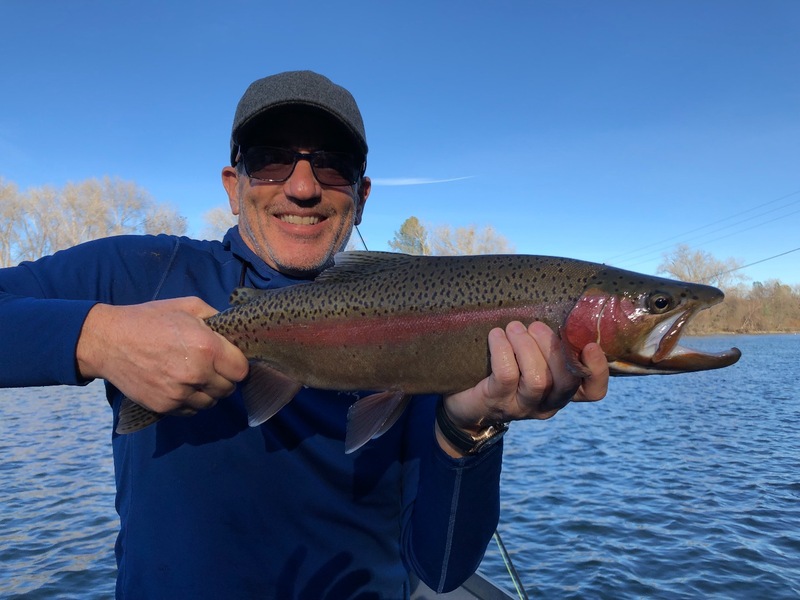 The Sacramento River rainbow trout fishing has been good this year and its looking like our spring summer fishing will be stellar as usual. The rainbows are big, healthy, and are undoubtedly among the most highly sought after wild rainbows in the west. Spin, drift, or fly fishing trips are available for our clients, year round. Some of our prime water above SR 44 closes from April 1st through July 31st, but good fishing can be found below the closed water during that timeframe as well. Multi pound rainbows are caught daily. 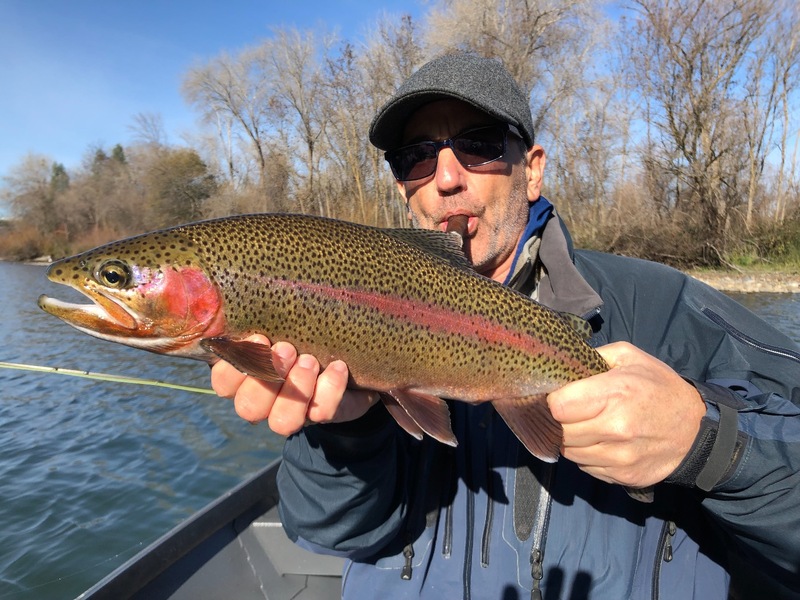 My boat record for a Sacramento River rainbow tipped the scales at 6.13 lbs and was caught in December of 2016 by Redding angler Russ Holpuch while backtrolling a 3.0 Mag Lip plug. There are lots of fish of that caliber, or larger, but they are a special fish class that we don't see every day. Fly fishing trips are among the most common trips we run this time of the year because of the low flows, but when the spring flows begin, its time to load up the power boats and spin cast or backtroll plugs for these red striped river rockets! Contact me for the latest report or to book your next Sac River rainbow trout trip. Tight lines! Wild steelhead and rainbow trout fishing is available on the Sacramento River year round.